Trokon is a spectacular young man. 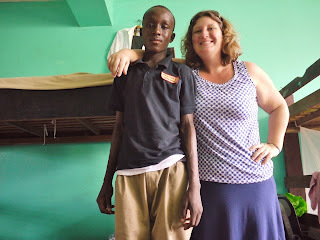 Orphaned as a very little boy, he used to scrounge in the garbage piles to find food so he wouldn’t starve to death. He was rescued by a woman who found him in the dump and took him into her home as one of her own. Years later this woman, having taken in many more orphaned and abandoned children found herself mothering an orphanage home with more than 40 children. Trokon, a natural leader, took the younger children under his wing. Helping others is not a passing phase for Trokon. He has always talked about wanting to go to college (which is a rare luxury in Liberia) so he can come back more prepared to help the people of his beloved country. It was his own motivation, compassion and hard work that made me and my co-workers want to give him a better chance at reaching those dreams. After some homework of our own, we identified a school that seemed to be a good fit for Trokon and his dreams. The entrance requirements were a stretch and Trokon struggled a bit with the placement test, but even the principal of this new school identified the potential in Trokon and admitted him to the school with tears in her eyes. Trokon started this new chapter of his life last August. A country boy in a new, strange boarding school far from the only home and family he has known with higher educational standards and different rules had us all worried about how he would adjust to his new surroundings. Last week I was finally able to visit Trokon at school. Two months in to his first semester—it was report card time. Although Trokon definitely has room to improve, I am very proud of his achievements so far. He is in the 70th percentage of the 9th grade class (which means he is doing better than 70% of the other kids in his grade). He is excelling in most of his classes and getting raving reviews for his attitude and conduct from both the principal and his peers. He is healthy and has probably grown at least two inches in the two months since I’ve seen him. Best of all he has this new confidence, he just radiates joy. Trokon will be getting some extra tutoring in the few classes he is struggling with. He is determined to do well and continue working hard towards his goal. He loves knowing that he has friends all over the world praying for him and cheering him on. Trokon’s new school is quite expensive. 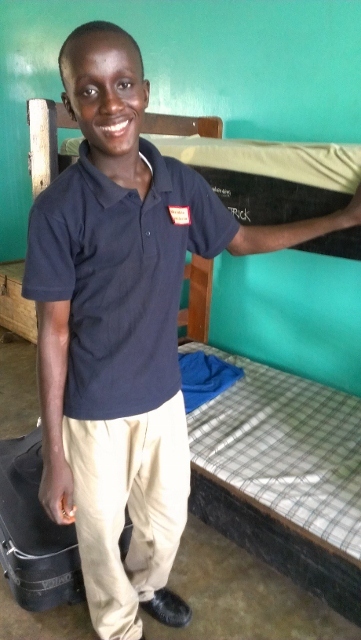 Orphan Relief and Rescue would like to continue to support him there throughout his high school career. If you would like to donate towards Trokon’s schooling or help with other ORR programs please visit the website www.orphanreliefandrescue.org and donate today.